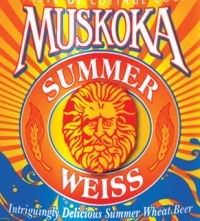 BRACEBRIDGE, ON – Muskoka Cottage Brewery announced via Twitter today that their next seasonal beer will be Muskoka Summer Weiss. Described as an “intriguingly delicious summer wheat beer,” it’s set to be released in April and available until September. As with their previous seasonals – Harvest Ale and Double Chocolate Cranberry Stout – Summer Weiss will be available on tap at select bars and restaurants in southern Ontario, and in 750 ml bottles at the LCBO. Thanks for the coverage. Will make sure you get a pre-launch bottle to try. nice wheat beer , great job!